OCTOPUS PIR Sensor module is a type of electronic building block based on AM412 pyroelectric digital smart sensor. It can be used in sensing and detection of human or animal motion, sensing distance is about 4-5 meters. Connect octopus PIR sensor brick to P0 port on OCTOPUS:BIT. 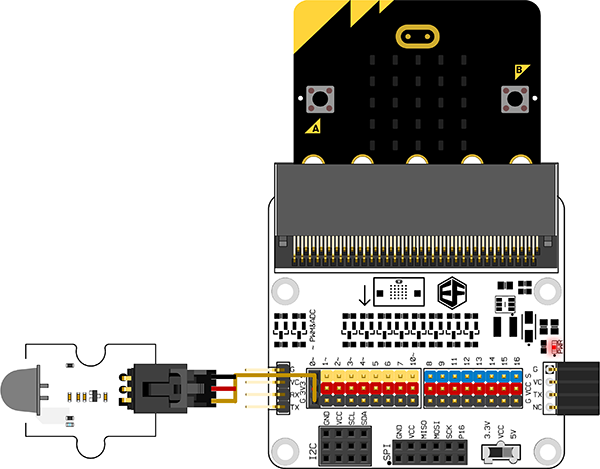 Once any movement made by human or animals within the range of 5 meters was detected by PIR sensor, micro:bit will display a rectangle; when there is no movement detected, micro:bit will display a heart. You can visit our wiki page for more info about this product. It will be appreciated if you can help us improve the documents, add more demo code or tutorials.